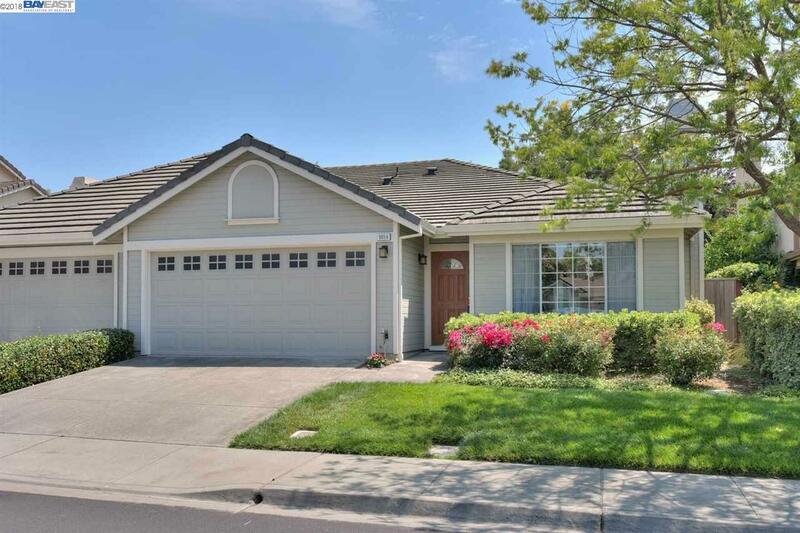 This Pleasanton gem has many upgrades and has been very well maintained! New Flooring thru out, Updated Kitchen and Appliances, New Trim, High Vaulted Ceilings and Fresh Paint thru out. Extremely low HOA that covers ALL the Exterior Paint, Tile Roof, Weekly Front Yard Maintenance, Streets and Termite/Water Damage for only $178 a month. Close to Down Town, Major Freeways, Shopping, Malls, Pleasanton's Award Winning Schools, Bart, Bus Service, Fine Dinning Parks and recreation. Very Low Maintenance. This home has been Meticulously Cared for and Shows Great Pride in Ownership. Seller is also providing a one year home warranty plan. Homes in this neighborhood do not come on the market very often. Don't let this one slip away!